Ecomondo and Key Energy offers today\'s biggest platform for the entire Mediterranean basin with 1250 exhibiting companies attracting over 116,000 attendees. Ecomondo has successfully anticipated business changes over time, from waste processing to dialoguing with industry on the development of an economic model based on green technologies. All sectors are efficiently represented, from waste to integrated water cycle, to air, bio-based industry and energy. Ecomondo and Key Energy offers today's biggest platform for the entire Mediterranean basin with 1250 exhibiting companies attracting over 116,000 attendees. 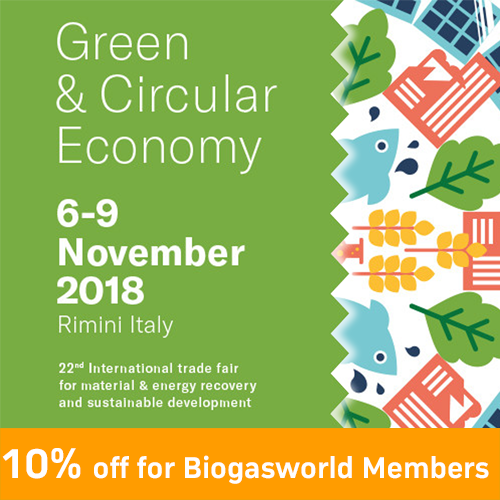 Ecomondo has successfully anticipated business changes over time, from waste processing to dialoguing with industry on the development of an economic model based on green technologies. All sectors are efficiently represented, from waste to integrated water cycle, to air, bio-based industry and energy. Key Energy is the leading fair for renewable energy in the Mediterranean Area.